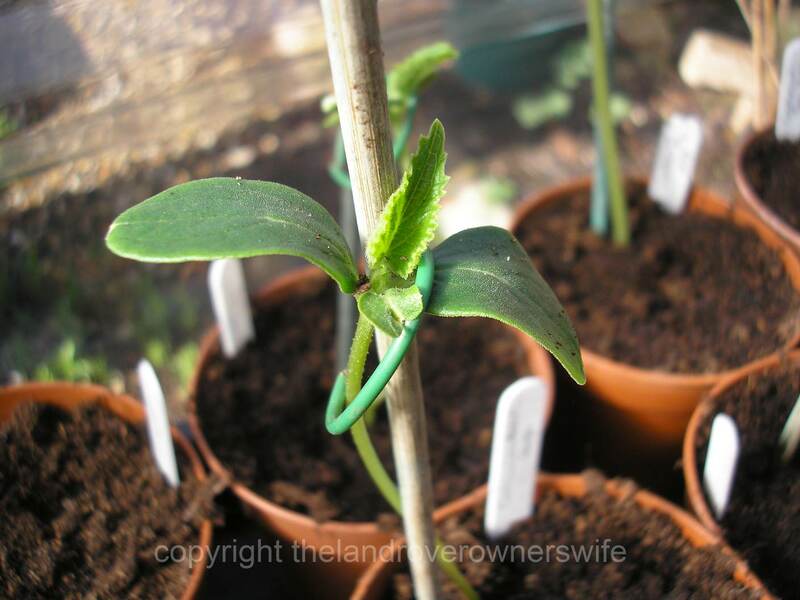 These are actually quite a dainty looking seedling. 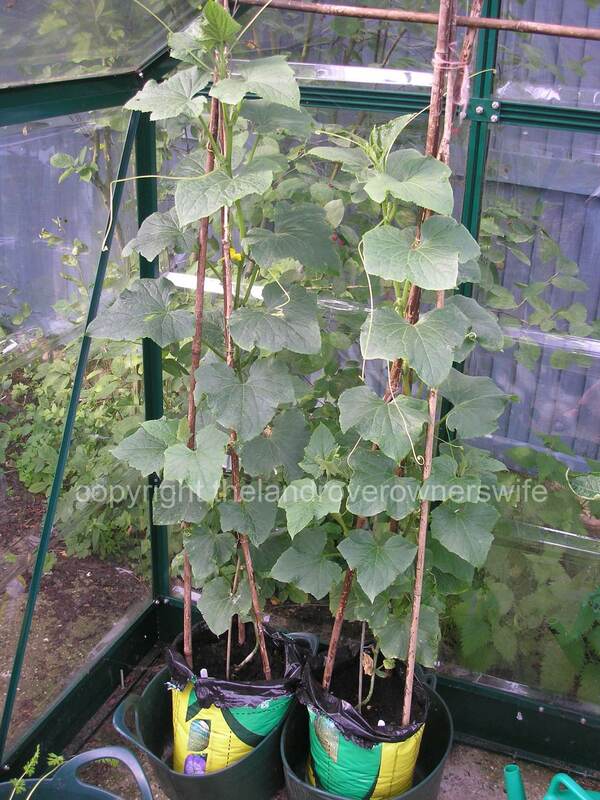 I have put a cane in with each of them because I will be growing my cucumbers up a bamboo support. Still in the greenhouses but with temperatures much improved this last week, there are finally signs of more growth. 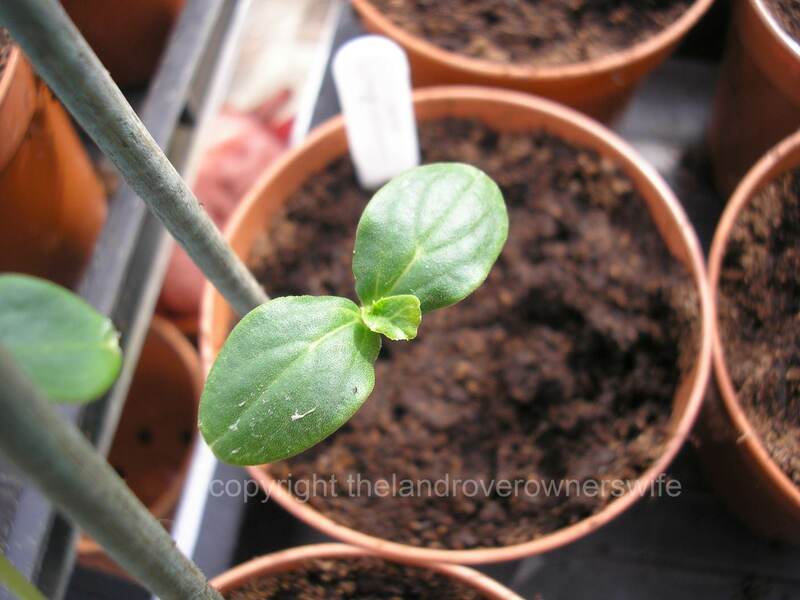 This is the same seedling as seen in the above photograph. Very nearly 5 weeks old now. The first of the side vines/branches are starting to form now, at 6 weeks old. 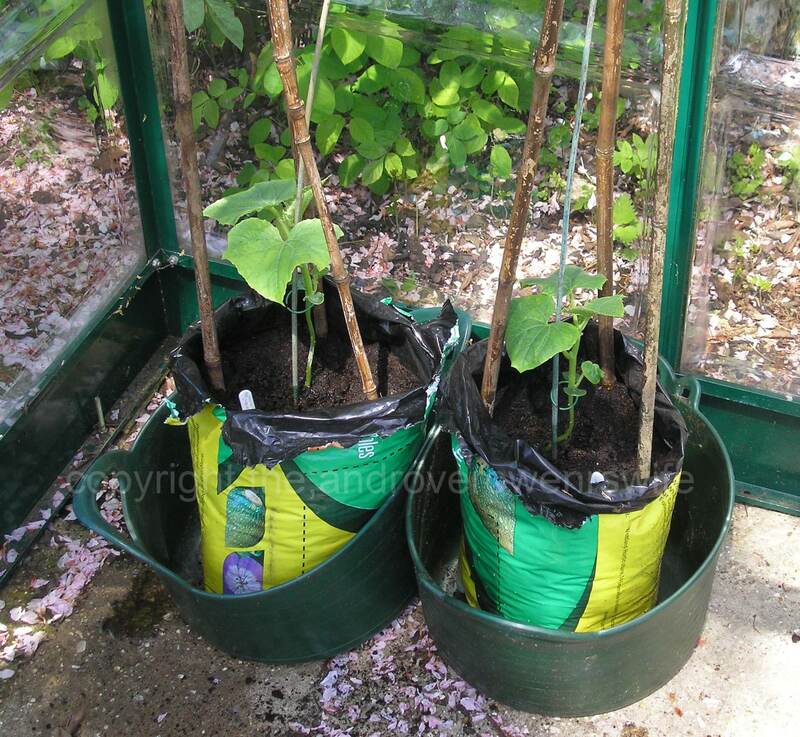 Yesterday (26th May) I planted 2 of my young plants into a growbag in the greenhouse. I only ever put 2 plants per growbag. Personally I cut each bag in half and then upend each half and place it into a tub. A three cane pyramid is then constructed in each bag and a larger cane is then run along the top of the pyramids (including the ones used for the cherry tomatoes), effectively joining them together and giving the pyramids more rigidity. 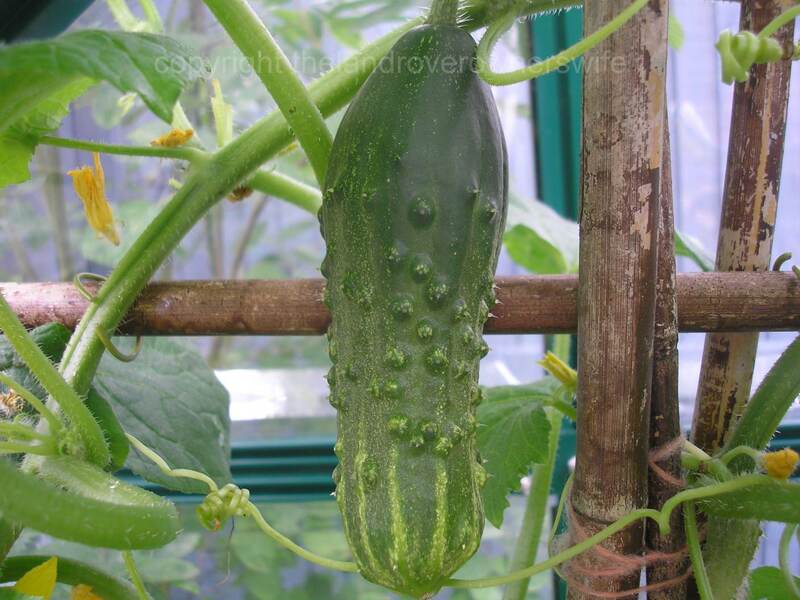 I have found that this method helps with the stability of the plants, especially once they are laden with cucumbers. These plants are now approximately 2.5 months old and today (25th June) I’ve spotted the first female flower. 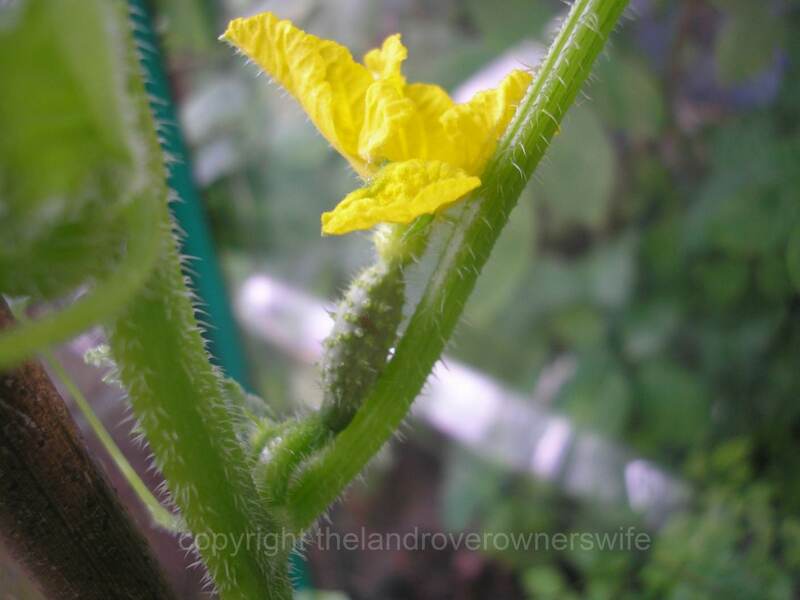 As with the squash and courgette plants, the female flowers are easy to spot as they have a tiny cucumber behind them. At 3 months old, the first female flower is open. 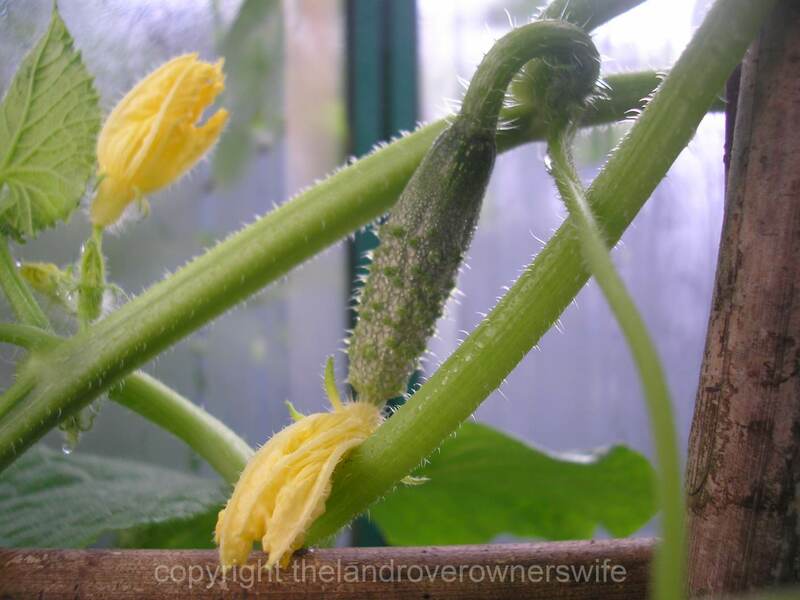 Now the 15th July, the first of the male flowers is open and so hopefully it won’t be long until we get our first cucumbers. These plants appear to be much more compact than my normal variety but more vines are starting to appear. 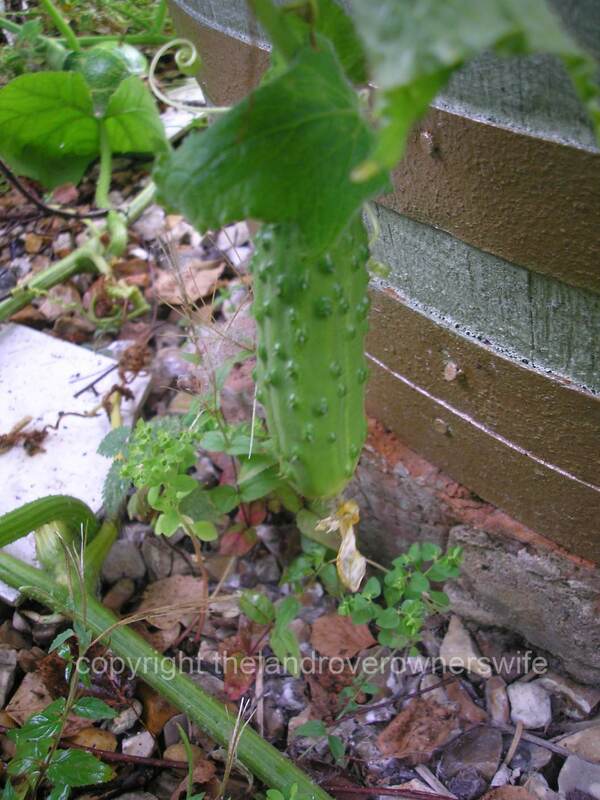 This morning (30th July) I have spotted what looks like the first of the cucumbers actually growing! 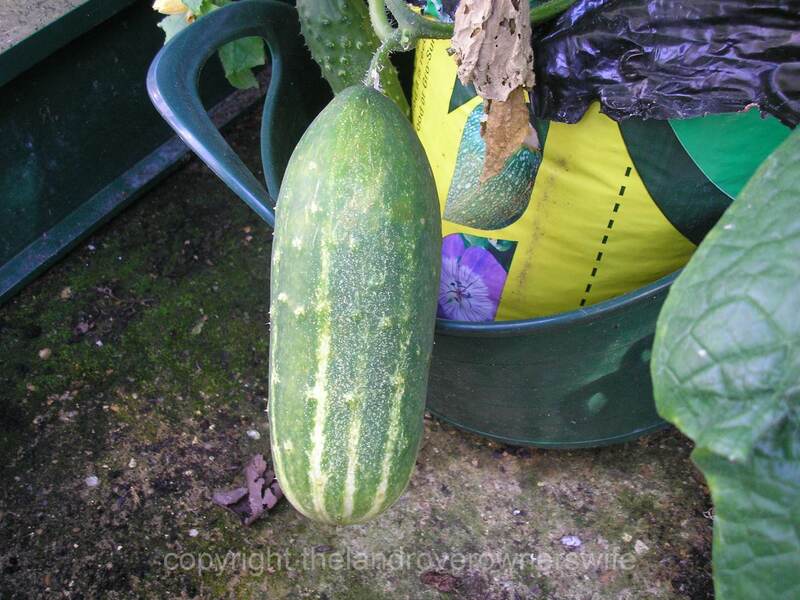 This is quite late for me, as by now I would have expected to have been picking cucumbers for a couple of weeks. 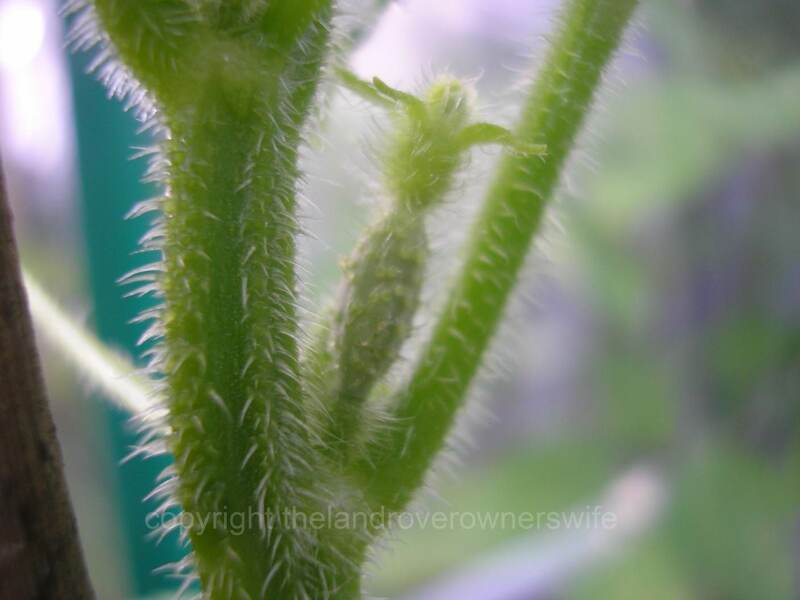 It’s quite surprising how quickly a cucumber grows from this 1 inch young fruit to a full sized one. 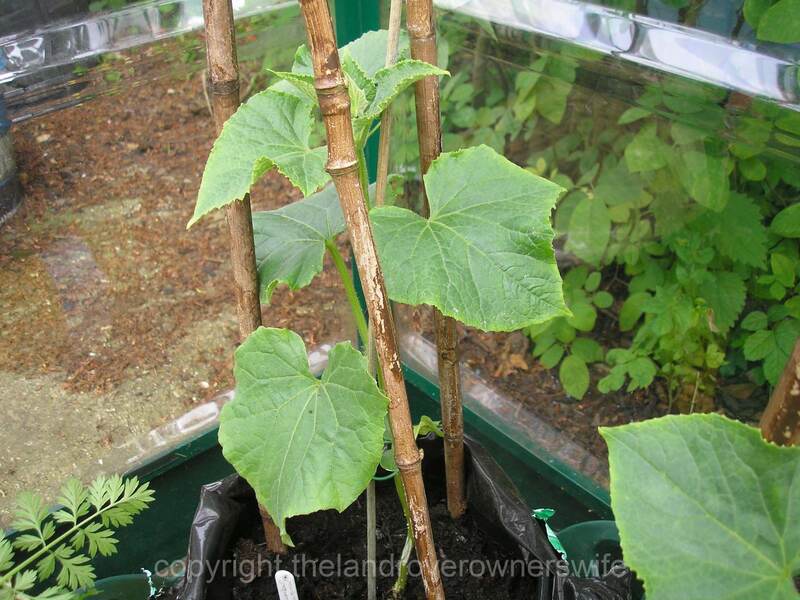 After only 3 days (2nd August) this specimen has grown quite considerably and there are probably 5 or 6 cucumbers at various stages of growth across the two plants now. 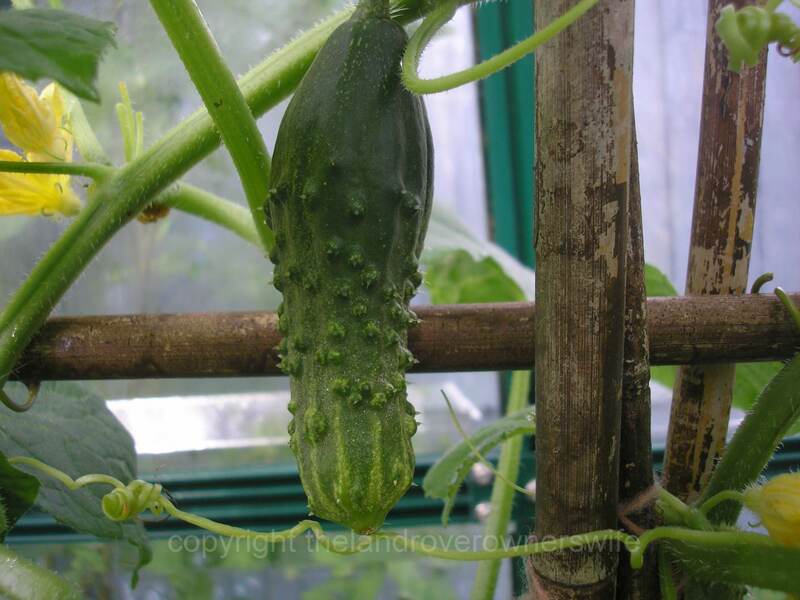 Here we are on the 5th of August and this cucumber is really growing at an impressive rate of knots. 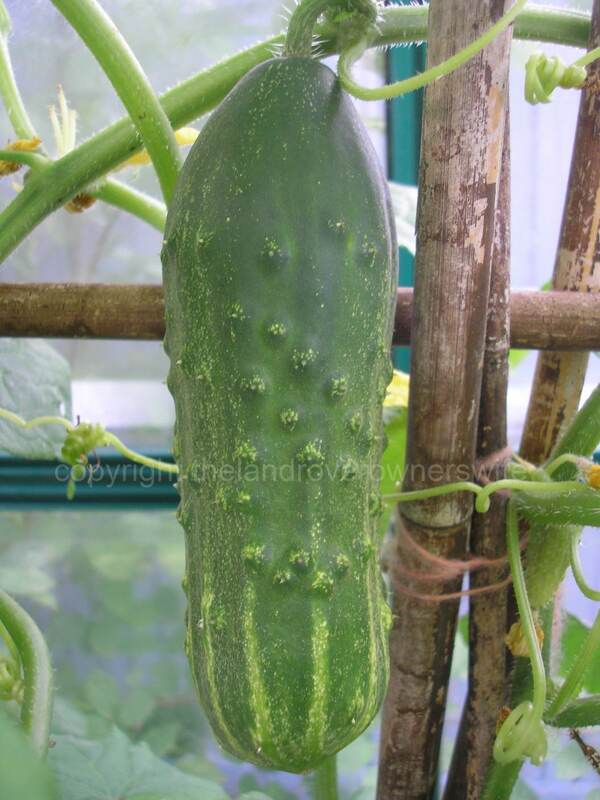 Three days more growth and this cucumber is around 4 inches long and plumping up now. 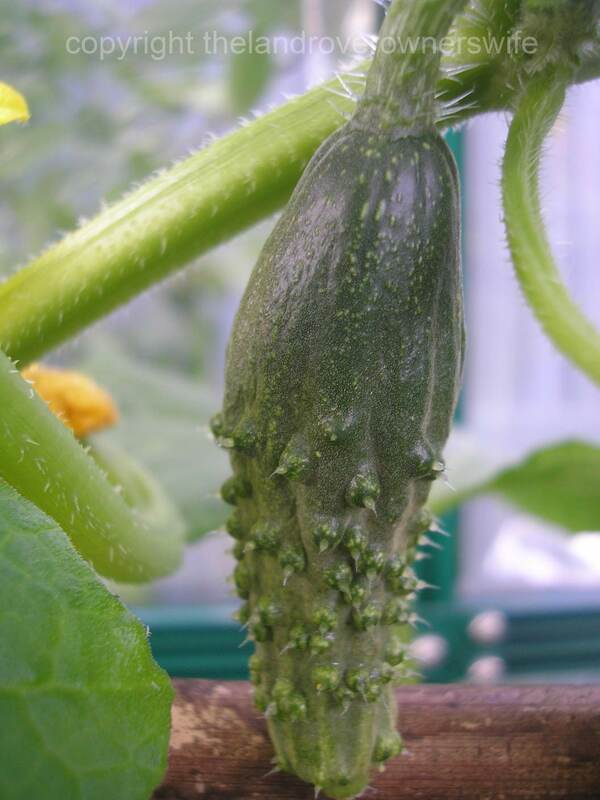 This indoor cucumber is being allowed to over ripen on the vine so that we can save the seeds for next year. 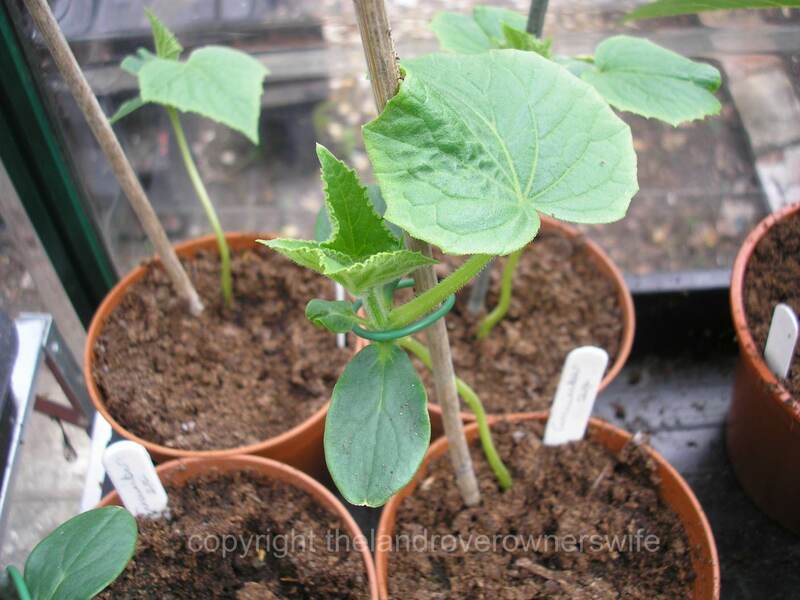 I also plan to leave one of the outside specimens to over ripen for seed for next year as well, working on the theory that the seed will be 1 generation more suited to outdoor growing. 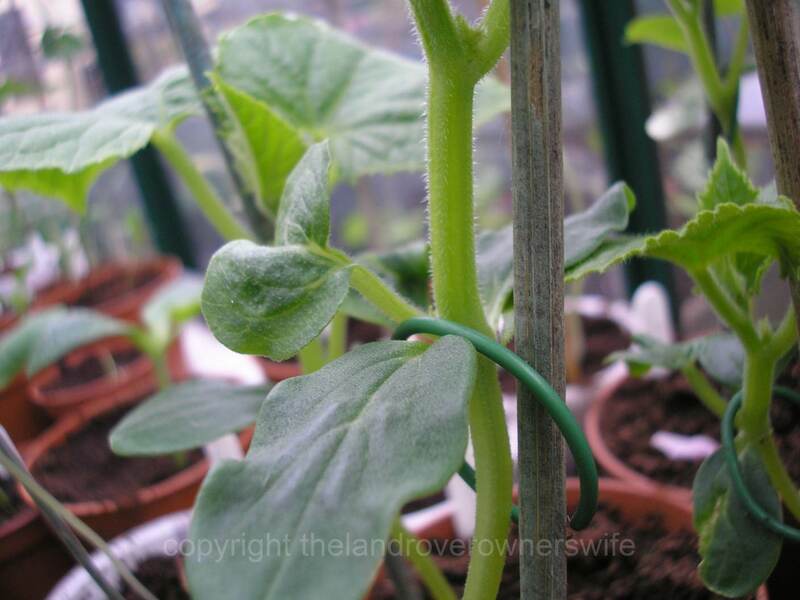 It is now some 5.5 months since the first seedlings appeared and we have had a steady crop of cucumbers of these plants. I have also managed to successfully separate and save some 20 seeds from one fruit and I have two more cucumbers which have been set aside for seed saving. 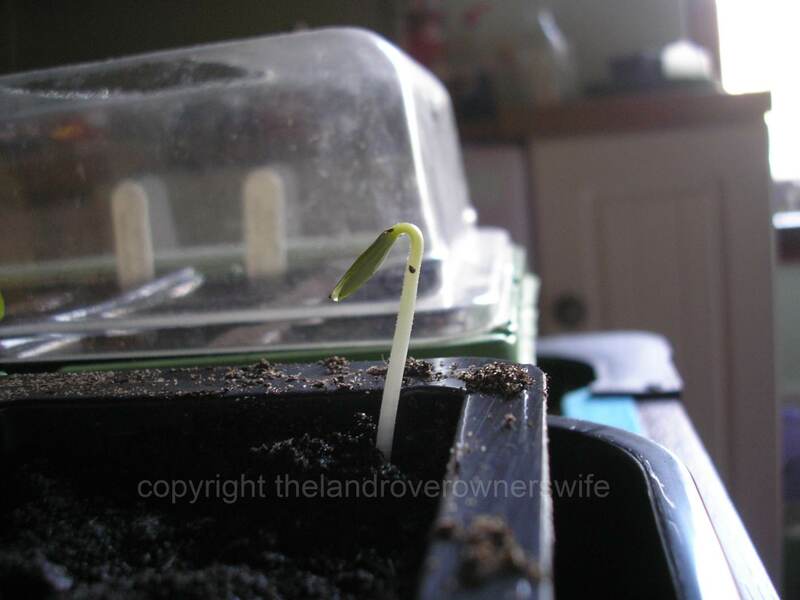 The seed saving process has been documented in two posts the first of which is here. Today (21st September) I have removed and composted the plants, as the weather has now turned much colder and the foliage was starting to die back at a significant speed. 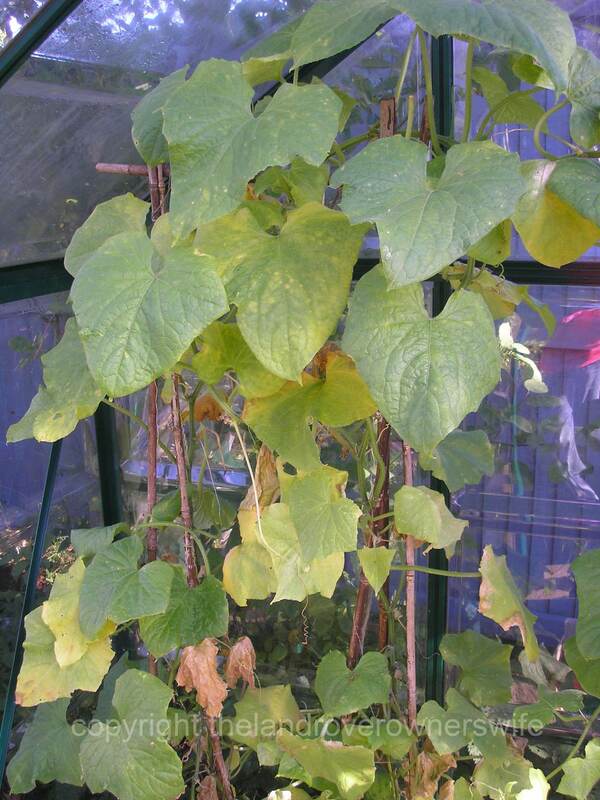 Categories: .... on seeds to seedlings | Tags: cucumber, Food, gardening, grow your own, saved seed, seedlings, vegetable gardening, vegetables | Permalink.